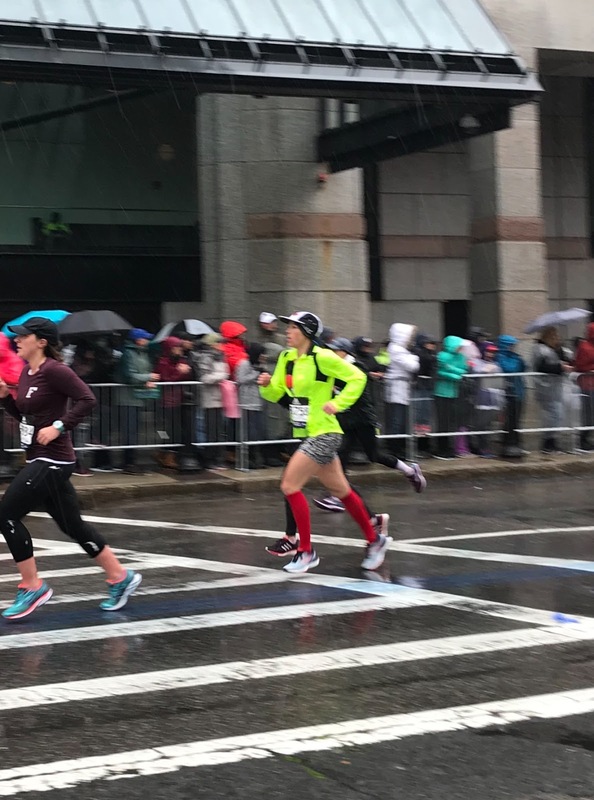 The 2018 Boston Marathon was everything and nothing like I expected it to be. 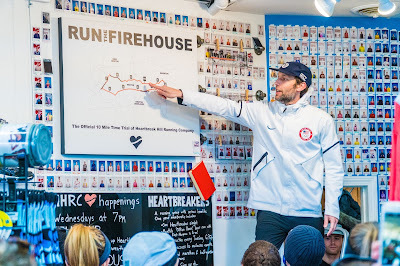 After looking forward to racing my first Boston for 18 long months (I qualified at Chicago in 2016), I'd had plenty of time to imagine race day scenarios. In one scenario, I clawed my way to the finish after hitting the wall on Heartbreak Hill. In another, it was hot and I had to adjust my race plan and eat lots of popsicles and give big hugs to my family while moving slowly. In the best scenario, I felt strong, light and unstoppable, and I triumphantly blew away my goal. Never once did I imagine running in the 38 degrees, driving rain, and 30 mile per hour headwind we were treated to on April 16, 2018. 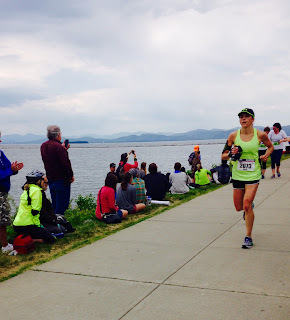 No, this was not the race of my dreams, but that's a big part of what draws me to the marathon. You train hard for twenty weeks. You (and your loved ones) make sacrifices. You prepare for everything and anything. But when the time comes and the work is done, you have no idea how a race will really unfold. You just live it. We sure lived it. Four weeks later, I've analyzed and reanalyzed all the moments of the race and my feelings about the outcome. I'm thawed out. I'm proud. And I still want more. I live two miles from the Boston Marathon finish line on Boylston Street, so the Expo and bib pickup were logistically easy for me. This year the John Hancock Sports & Fitness Expo moved from its traditional home at the Hynes Convention Center in Back Bay out to the Seaport World Trade Center. On Saturday, my BRF Becca accompanied me on a quick T ride to the Seaport. As we entered the steamy, crowded hall, I immediately regretted my rookie move of showing up to the expo midday. Live and learn. Soon enough, I had my bib, gear bag, and goodies in hand. 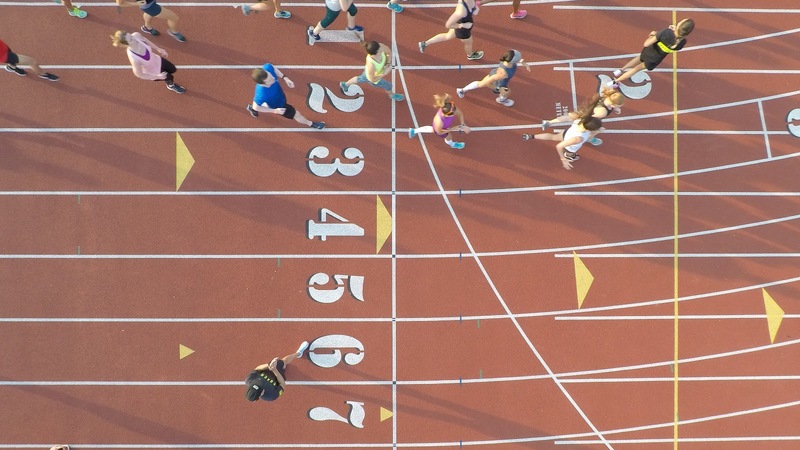 We shuffled with the masses through the aisles of snake oil salespeople offering ointments, wraps, drinks, gels, and apparel designed to help marathoners gain some perceived advantage over our competitors (and do some anxiety spending). I politely waved off the egg white energy drink. The ponchos were flying off the shelves. I enjoyed a relaxing, reflective day before the race. After refreshing the weather app on my phone for the hundredth time and trying on variations of my most rain and wind friendly race kit, I sighed and decided it was time to let it be. My best friend Pam traveled up from Brooklyn to cheer me on. She recently trained in Reiki and offered me a treatment. We created a zen zone on my bedroom floor and she got to work. I've never had Reiki before and I know very little about it, but what I can tell you is that regardless of what you believe about "life force energy", the love and care I felt from my friend was real and it reminded me how many loved ones were offering themselves to support me in this foolish running race I so looked forward to. Although my wave was not scheduled to start the race until 10:25 am, there are many logistics that go into getting oneself to the Boston Marathon start line 26.2 miles west of the city. I was up at 6 and dressed in rain gear at 7. To help me stay dry as long as possible, Chris drove me to the Central Square T station and I rode the Red Line to Park Street, where endless school buses were lined up next to Boston Common to transport runners to Hopkinton. This part of my morning went by in an anxious blur. I was directed onto a bus, where I sat with a few wonderful women nervously chatting about the weather and our prior race experiences. I was the only Boston first timer among us, so they offered their wisdom while I ate my english muffin with peanut butter and banana and swallowed some water. The ride felt long, but I wasn't eager to disembark the bus when we finally arrived in Athletes' Village at Hopkinton High/Middle School. The wind and rain were beating down mercilessly on the bus windshield. Athletes' Village was already ravaged when I arrived. Two big tents covered part of the school field, and after a quick trip to the port-a-potty I squeezed my way under with other anxious, shivering runners. The tents had inexplicably been erected over the school baseball diamonds, and with the heavy rain there was now a six inch deep sandy mud moat around the perimeter. I watched a woman lose her running shoe in the quicksand and carefully calculated a delicate path toward the relatively dry pitcher's mound in the center of the diamond. Wind whipped through the tent. The area was littered with discarded trash bags, towels, ponchos, and food wrappers. I began to spread my meager trash bag wrapped yoga mat when a kind fellow runner gestured me to a space on his tarp. "I take it this isn't your first Boston Marathon?" I asked as I gratefully accepted his offer. I sipped hot coffee, chewed a few pieces of dried mango, and shoved hand warmers into my gloves while my new friend, Robert, told me stories about the many Boston Marathons he'd run. His wife had gone into labor early with his first daughter while he was at the Boston Marathon. They'd given their baby the middle name "Hopkinton". The announcer called Wave 2 over the loud speaker, but we waited together under the tent until the last possible moment to make the long walk to the starting corrals. Boston is a very famous point-to-point course. It is almost entirely straight, with its five turns all coming in the last third of the course. It begins in Hopkinton at an elevation of 472 feet and ends in downtown Boston at sea level, with a whole lot of up and down along the way. The course passes through eight towns: Hopkinton, Ashland, Framingham, Natick, Wellesley, Newton, Brookline and Boston. After lots of pounding downhill in the first half of the race, the fabled Newton hills roll from miles 17-21. 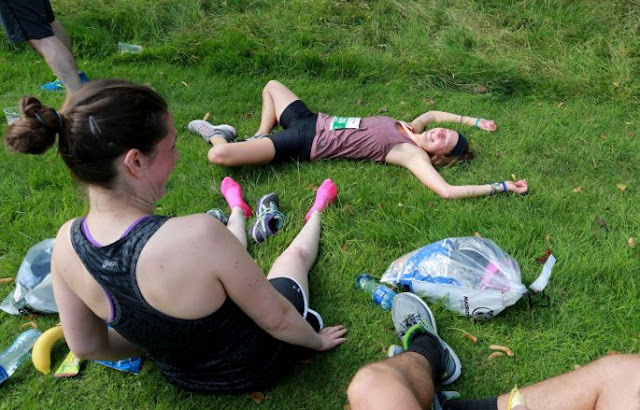 It's a famously tough course to pace yourself on. I have the distinct benefit of living here and training almost every week on the Newton Hills. The walk from Athlete's Village to the start area is long, but the rain had let up a little and I was happy to finally be making my way toward the start. I reached my corral and wished my new friend Robert luck as we parted ways. I peeled off my pants and wet shoes and pulled on clean socks and dry shoes, which were immediately soaked. 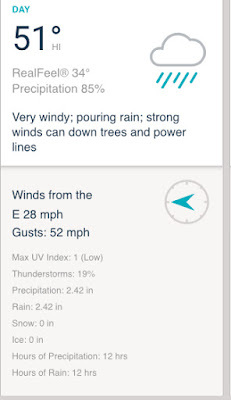 I debated whether to put my bib over or under my rain jacket. Eventually, I settled on over. I was freezing already, so I committed there and then to keeping the jacket for the entire race. Somewhere up ahead, the gun sounded for Wave 2 start, and the crowd pressed forward. Soon enough, my feet crossed the start. I know this because when I looked down I could see my feet moving, but I certainly couldn't feel them. The first mile of the race was tightly packed with runners. No need to think. I simply moved forward with the herd, trying to revive some feeling in my hands and feet. After passing the Mile 1 marker, I began scanning the crowd lining the street for my husband and in-laws, Ruth, Bruce and Mikey. They are long time Hopkinton residents and had braved the miserable weather to yell for me in the rain. As I caught a glimpse of Ruth's neon green "Run Bean Run!" sign, I was instantly reminded how lucky I am to run a marathon for pleasure and to have so many wonderful supporters. I grinned and hugged them. I looked at my watch once or twice during the first five miles to heed the warnings I'd received about not going out too fast. It was a lot of downhill and I focused on keeping my footfalls as natural as I possibly could without any sensation in my feet. There were standing puddles in many places. I felt cold, but the running was fine and tried to settle in. The scenery was mostly rural with a smattering of commercial parks. To be honest, I was so focused on avoiding giant puddles and moving forward, I didn't pay great attention to the surroundings here. I caught a glimpse of Aunt Cristina near Framingham Station at Mile 6. I yelled enthusiastically to her. After a quiet stretch in Ashland, crowd support had grown more boisterous in downtown Framingham. I smiled thinking of my Grandma and Papa, who had raised their children in Framingham. I wondered what they would have to say about me running the Boston Marathon. We passed the old Dennison Factory, where Papa worked in the 1950s. I knew pals from the Slumbrew Happy Soles were volunteering at the Mile 8 aid station, so I scooted to the left side of the road and slowed down to search for friends and say hello as I approached. I locked eyes with Kelly and shouted greetings as I grabbed a cup of water from her outstretched hand. I tried really hard to execute this exchange smoothly, but apparently I failed, because a woman yelled angrily from behind me, "Hey, watch it!" Sheepishly, I apologized. As I entered Natick, the crowds lining the course became considerably more sparse. This was the only part of the day where it seemed that time was moving slowly. I was also the only part of the course I'd never run on before. I looked around for a fellow runner to strike up a chat with, but it seemed most folks had their heads down, headphones in, or serious game faces on. The terrain was mostly flat. I'd stopped paying attention to the driving rain and wind, when all of a sudden the heavens opened up and the rain came down in sheets. Runners around me cheered, and for a moment our collective mood was lifted in solidarity and amusement about the ridiculousness of this day. By the time I arrived at Natick center, my mental fog had lifted. Now I was on familiar turf. It's true what they say about the Wellesley Scream Tunnel. You can hear the screams well before you can see the women. Even on this miserable day, they were out and they were loud! 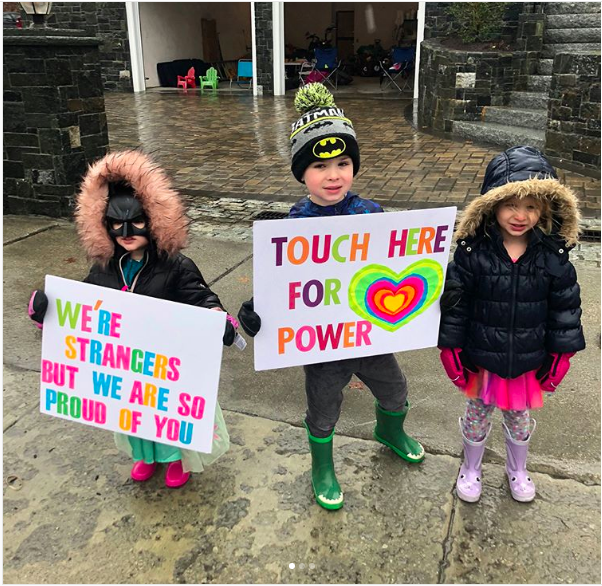 The hundreds of signs the Wellesley College women had made were quickly disintegrating in the deluge, but that didn't seem to dampen their spirits. I hit the half marathon mark and realized I hadn't looked at my watch since Mile 3. This hadn't been an intentional decision, but for some reason the thought to lift my raincoat sleeve hadn't occurred to me during the prior ten miles. This was strange given that I'm typically a goal-driven, watch-checking, metric-obsessed lady. I looked down and saw 1:41:31 on my watch as I ran through the half, but I didn't really process what it meant and couldn't be bothered to do the math. This was the first point where I recognized the cold and rain were impacting my faculties. I remembered that I wanted to be around 1:40-1:42 at the half. So far, I'd been running very conservatively. The pace felt casual. 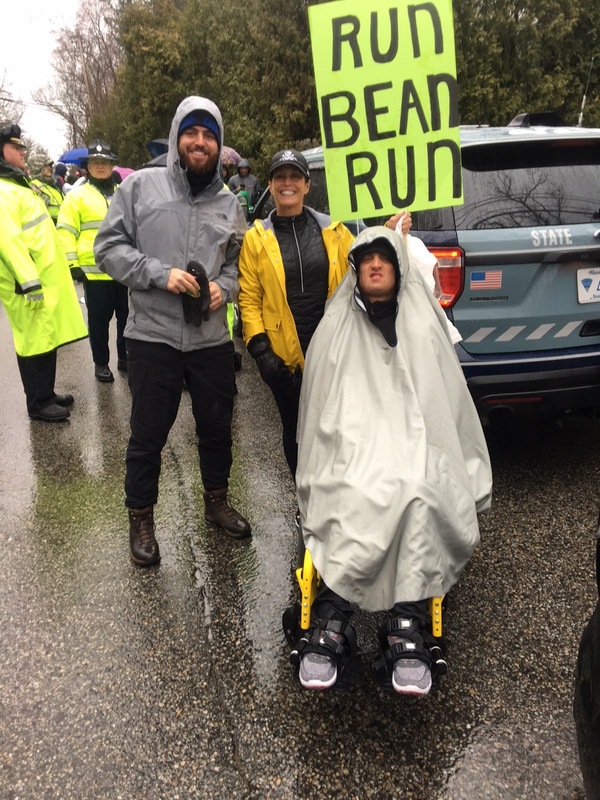 I was pleasantly surprised to see my friend, Kate, cheering near Mile 14 in downtown Wellesley. I thought about how special it feels to run a hometown race with surprise familiar faces everywhere! By the time I reached Newton Lower Falls, I was taking water cups from volunteers between the heels of my palms because I could no longer operate my fingers. I made it a point to profusely thank every volunteer I encountered. It's an awesome thing to cheer for your friends and family during a crappy weather race because you love them. 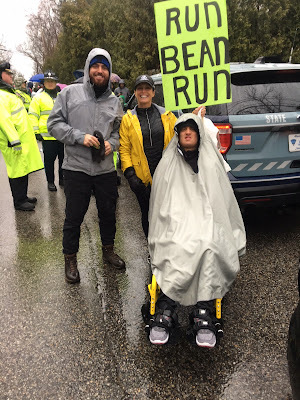 It's a whole different level of support to stand with an outstretched arm holding water cups for 6 hours straight in the frigid rain to help some foolish strangers run a silly race. Halfway through Mile 15 was a steady downhill plunge I remembered well from many long runs with the Heartbreakers. I let my body sail down the descent, knowing that a grinding, half mile long climb was ahead of me in Newton before the right turn onto Commonwealth Ave. The crosswind here was nasty and all through the climb I just kept reminding myself I'd get to see Becca and Julie at the firehouse. A spectator yelled out "Des Linden won the race!" and I beamed with excitement and pride for our American ladies. I made the right turn onto Commonwealth Avenue at mile 17.5 and there they were! Standing in front of the firehouse, Becca and Julie, shivering, soaked, and the best friends ever. They were holding fathead posters of my face on a stick. I was so very happy to see them. Becca had a fresh pair of gloves for me, so I stripped off my useless, floppy, waterlogged flippers. Alas, my frozen claw hands were too numb and stiff to force into the fresh pair. After struggling for a moment trying to jam the gloves onto my fingers with Becca's help, I gave up and moved along. Would you believe that the hills of Newton were my very favorite part of the Boston Marathon course? When I look back at my splits after the race, it turns out I actually moved pretty slowly here. But I felt freaking great. I knew these hills! The terrain was a break from monotony and somehow it felt like the wind had died down. Knowing the Heartbreakers were waiting at Mile 20, just before the base of Heartbreak Hill, gave me something to look forward to. In spite of my slow pace, I was passing runners left and right. 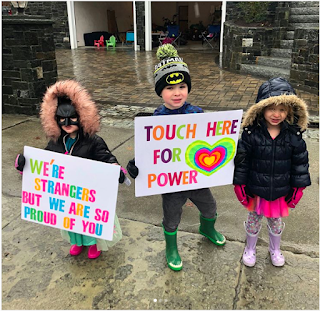 I did not see these adorable children while running, but they sum up the support out in Newton on Commonwealth Ave. The high fives from my screaming teammates and Coach Dan outside Heartbreak Hill Running Company at Mile 20 gave me the most amazing lift at a really important part of the race. 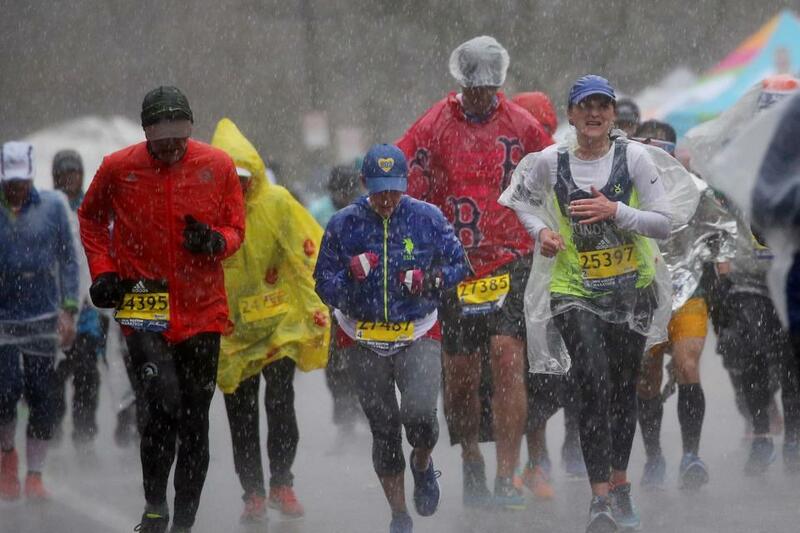 These companions had been there through so many training runs, and now they were yelling their hearts out in the grossest Boston Marathon weather of all time. I felt happy. Heartbreak Hill passed by in a blur. I squinted through the rain trying to find my dear friend, Steph, who was waiting somewhere on Heartbreak Hill, but she is tiny and somehow we missed each other. At the 21 mile marker, a man nearby hollered "10K to go, let's do this!" I acknowledged his words, but didn't really register them. In my best laid race plans, this is where I would let go of restraint and begin to let myself take off. Yet, for some reason, the urge was absent. I felt this unfamiliar tiny seed of doubt about the cold and the rain and my capability. I hadn't looked at my watch at all in the second half of the race, and I just didn't feel the need to do it. I kept running, but without any sense of urgency. After all I had looked forward to and trained for, I found myself holding back a bit. My quads and calves started to ache on the backside of Heartbreak Hill. The pounding downhills were adding up in my legs. I noted the discomfort and let it pass. We ran through Boston College and reached Cleveland Circle. I knew my husband and best friend, Pam, were waiting for me at the 40K, just before Mile 25. I used them as motivation, counting down the miles until I'd get to hug them. My face felt very tight and cold. My hands felt a little better now that I'd shed the floppy, wet gloves, but I couldn't open and close them. As I barreled through Coolidge Corner with my head down, I heard "GO BEAN!" in a booming voice. Shocked, I looked up from my stupor and waved to Matt, capo extraordinaire and president of the midnight riders. Well, I tried to wave, but what came out was a sort of strange, jerky arm flap. Hmm, I thought, that's not the way my arm usually works. Finally, the Citgo sign came into view. I reached Audobon Circle and saw Chris and Pam holding more Bean faces. Chris snapped a photo of me. I remember saying to Chris, "This is hard." Becca and Julie were there cheering again, too. Still wet and still smiling. I thanked them and moved forward. Just over a mile to go, still no killer instinct. 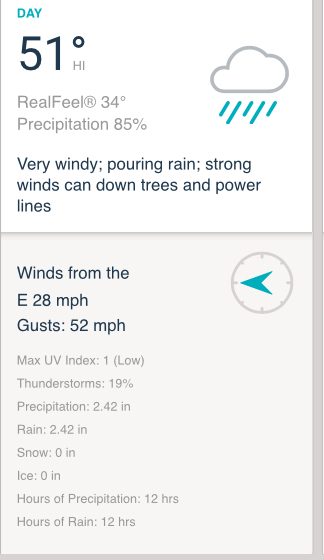 When I finally made the left turn onto Boylston Street, the wind and rain were absolutely wild. My dad and stepmom had driven up from New Jersey for the race and were among the crowd on Boylston. Though I didn't see them, they did see me as I made my way toward the finish line! Here's a lifted official race photo of my finish line claw hands. I believed I was smiling. I'm glad to see that the real expression on my face was a bit more primal than a polite smile. I MADE IT! I did have the wherewithal to stop my watch after crossing the finish line. I had no clue how fast or slow I'd run this race. My official time was 3:28:27, 8 minutes and 27 seconds slower than my "A" goal, but fast enough to requalify for Boston 2019 if I so choose. I found it strange that I hadn't bothered to pay attention to my pace. The finish chute seemed to go on forever and ever. A kind volunteer shoved a water bottle into the crook of my elbow after he realized my hands weren't going to close around it. I walked a while more and another volunteer placed a medal around my neck and congratulated me. Finally, after what seemed like a hundred years, I came to the space blankets. Hallelujah. The volunteer wrapped me up and, disoriented, I continued to follow the zombie herd down the street. My sister and I planned to meet at the designated family meet up area. I swear it was a mile away from the finish line. I finally located the letter "B" for Bean and steadied myself against a sign post. By now, I was shivering violently. Carly came running toward me and I don't think I've ever been so grateful to see her. She shepherded me toward the office suite where the Best Buddies marathon team was hosting their viewing party and reception. Carly works for Best Buddies, and her boss kindly offered to let me shower and warm up here after the race. I don't know what I'd have done without my sister, who removed my wet socks and pants when I couldn't do it myself. The hot shower breathed some life back into me, though the weary expression and blue lips below might suggest otherwise. I've always prided myself on the strength of my mental game. I've never been particularly physically gifted in sport, but I possess grit and ability to will myself through the tough moments, or at least find the positive in the midst of a challenging situation. I admit that I felt a little disappointed that I wasn't fully present while I was running this race I've dreamed about for so long. In retrospect, I attribute at least some of my mental disconnect during to my hypothermic body preserving itself in the elements. And don't get me wrong: I am so proud that I finished the Boston Marathon on an epic, miserable, legendary day when 23 elite runners dropped out. Surely, the challenging elements brewed up a race for the ages. I can't say for sure why I ran with a hint of fear and lack of focus. But I can respect the beauty and the beast of the marathon. There are so many challenges it will present on a given day and so many ways you can respond. I will be back for more. I'll leave you with this photo, taken in my living room after the race. I was about to drink the first beer I'd had in 104 days. In case you're wondering, it was the Even More Bible Belt, an imperial stout collaboration between Evil Twin Brewing and Prairie Artisan Ales. It took me about five minutes to stand up from the floor. 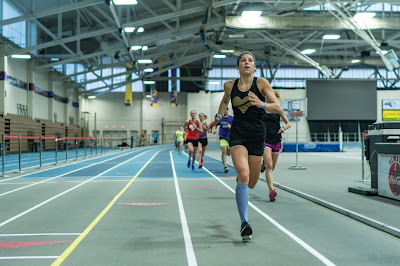 Boston Marathon Training with 43 days to go! I'm taking a break from catching up on outdated race recaps to write about the present: Boston Marathon training! The 2018 Boston Marathon is just 43 days away. I finally qualified for Boston at the Chicago Marathon in 2016. I had a bumpy start to 2017, working through lumbar herniation, sciatica and an IT band injury. I spent most of the last year recovering and rebuilding my foundation for running. 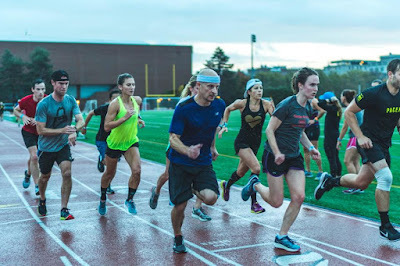 In August, I nervously jogged onto the MIT track early on a Tuesday morning to join a free, public coached track workout with The Heartbreakers running team in partnership with Nike+ Run Club. 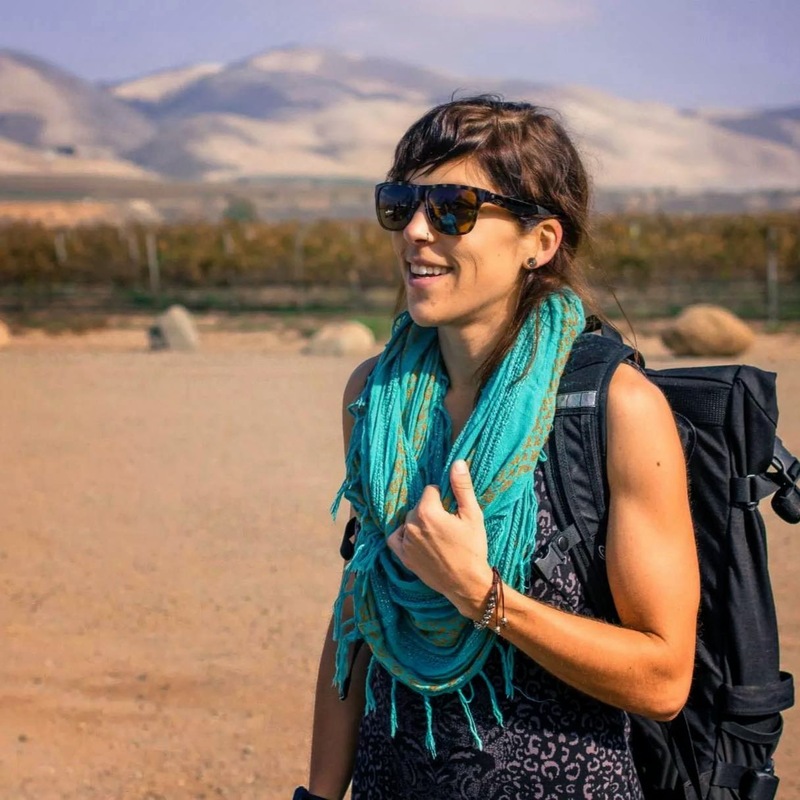 I was so intimidated upon arrival I felt sick to my stomach. By the second 400 meter repeat around the oval, I was jubilant. This felt like summer camp. I've returned nearly every Tuesday since. We've moved to the indoor track for the winter. In September, I officially joined the Heartbreakers team. I've always been a runner who seeks a strongly structured plan, but I tended to run my workouts and long runs solo. Joining the Heartbreakers presented me with opportunities to explore my limits with the support of teammates and train purposefully with the guidance of nurturing expert coach Dan Fitzgerald. 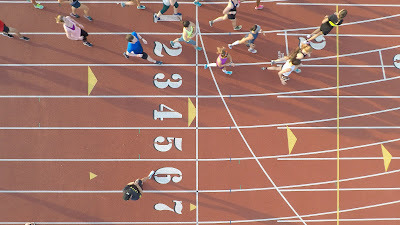 I focused on understanding the purpose of every run and workout. I worked with my trainer at the YMCA to craft a strength training plan that would focus on lifting specifically for performance. 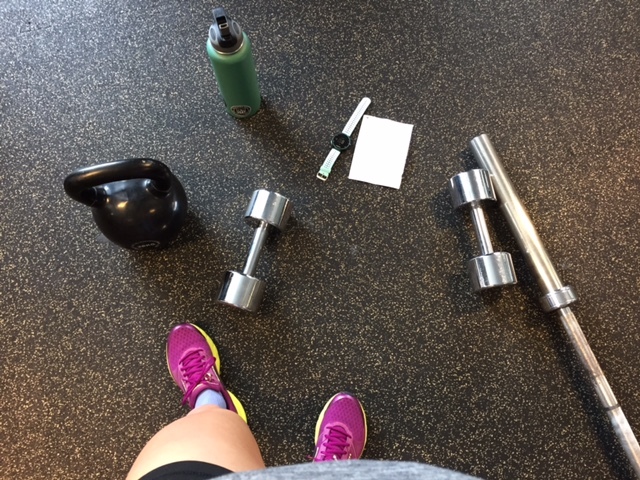 I listened carefully to advice from my physical therapist and physiatrist to work diligently on stabilization exercises, core work, and single leg exercises that target my weaknesses. ...and in the half marathon. I entered my 20 week Boston Marathon training cycle in December feeling like a stronger and smarter runner. The work was hard, but easy runs, hills, drills, and speed workouts were clicking off steadily. 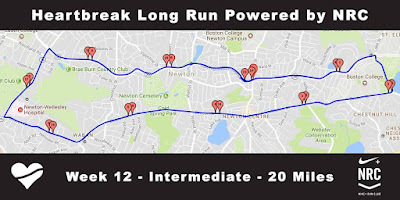 The Heartbreaker Intermediate marathon plan has me running 6 days a week. I'm lifting 2 days per week, taking a cardio-strength fitness class 2 days per week, and performing specific core and/or hip stability work 2 days per week. I take yoga class with emphasis on postural stability and stretching connective tissue around the joints 1-2 days per week and stretch daily. I know I sound crazy. I promise I also have a job. As mileage built up, there was one thing looming over me. I'd injured myself last January on an ill-advised 15 mile long run and hadn't run that far since. Almost exactly one year later, 15 miles was printed neatly on the calendar taped to my refrigerator. The run went off without a hitch. 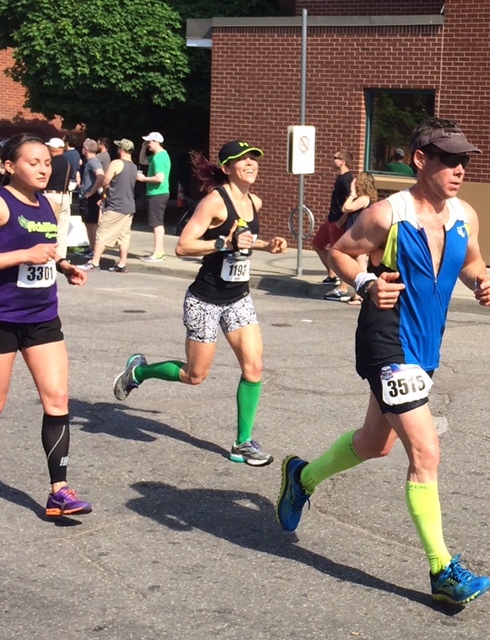 Last weekend, I ran my first 20 miler of the training cycle, a "Double Firehouse Loop". 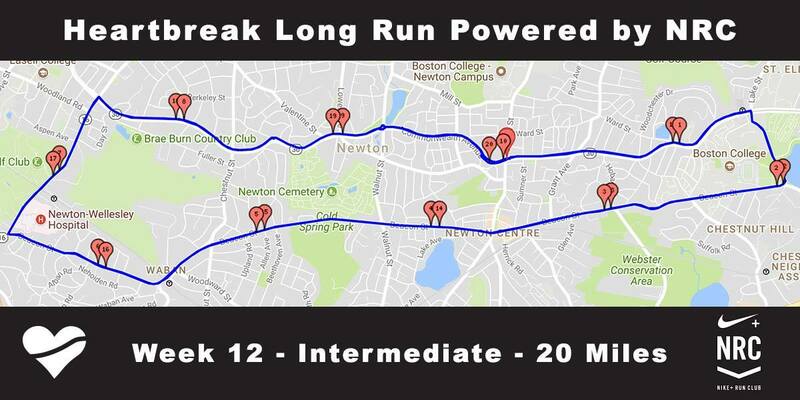 Two laps around the Newton Hills, including the famed Heartbreak Hill. It was tough and it was great and I am so excited. Even the signs outside of the gas station on my long runs are rooting for me. 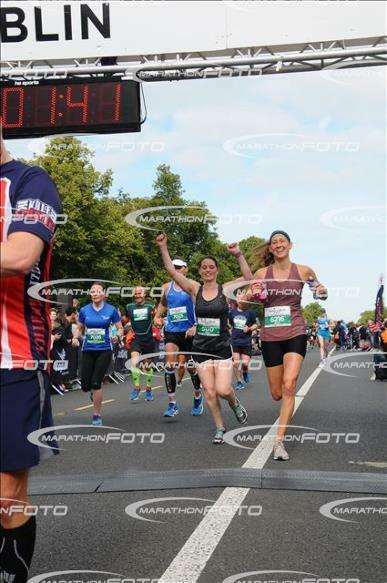 It was a convenient coincidence that the Affidea Rock 'N' Roll Dublin Half Marathon on Sunday, August 13, 2017 happened to be running through the streets of Dublin on the very week of our planned summer vacation to visit dear friends in Ireland. I'd never run in a Rock 'N' Roll event before, but I'd heard there'd be many live bands throughout the course and I loved the idea of "sightrunning" as a quick way to cover a lot of tourist ground in a new city. Signing up with my husband and BRF, Becca, was a no brainer. 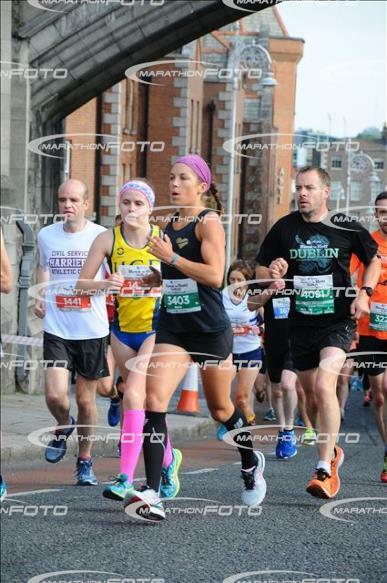 Without asking her permission, we then registered our Dublin host, Ciara (who happens to be my OG marathon training partner). We arrived in Dublin the day before the race. We walked to bib pickup on the historic campus of Trinity College, where Ciara was presently studying to teach science. We explored the school's historical campus and retrieved our race packets from the modest health and fitness expo. Veganism in Ireland was trickier than I'd predicted. They REALLY do love potatoes. Nutrition leading up to the race was not as controlled as I'm accustomed to, but I did get my peanut butter banana fix on race morning. On the morning of the race, we walked from Ciara's apartment to the start area in The Docklands. The large start area had trucks where we could drop our gear bags to be transported to the finish line. After a few nervous trips to the port-a-potty, I bid farewell to my companions and squeezed into the massive start corral. The half marathon is a point to point course on paved city streets and park trail. It starts in the Dublins Docklands and proceeds along the north side of the Liffey River before crossing Memorial Bridge and looping around Christ Church Cathedral. Eventually, the course enters Phoenix Park, which is one of the largest walled city parks in Europe. The course winds around and ends here in the park, where there is a large post race party with music, fake beer, and shuttles to take runners back to downtown. The course had a few long, grinding hills. It was entirely closed to traffic and well marked. According to the race website, more than 14,000 runners registered for the four events held across the weekend. The half marathon and 10K started simultaneously, so runners of both events were mixed together in the starting corrals. Since amazing bands were promised nearly every mile, I opted to forgo using any personal music device. The start was rather crowded, and as we ran over a few bridges along the north bank of the River Liffey, we squeezed ourselves shoulder-to-shoulder. Things opened up a bit once we turned left to cross the river and passed Ha'penny bridge. 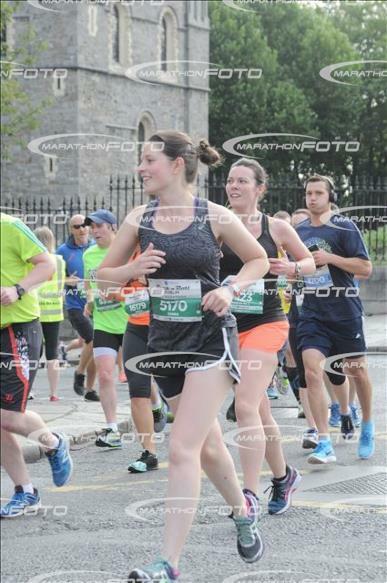 At mile 2, we made a sudden left turn on a side street, running uphill to Christchurch Cathedral and then cutting back downhill. I think this little diversion was specifically so the course could include the landmark church. I didn't mind it, the little hill gave me a burst of energy early on. We returned to run west on the quays (that's what Dubliners call the roadways along the north and south banks of the River Liffey). We passed the Guinness Storehouse. I was just settling in here, finding some rhythm. We looped through the campus of the Royal Hospital on a gravel path. I liked this part of the race because it reminded me of Fort Adams at Newport Folk Festival and because where my favorite musician was playing folk music one man band style. We ran through a more residential area, where local supporters cheered, "Good on ye!" Somewhere between miles 4 and 5 we ran past a cover band playing some cringeworthy 90s rock. I liked the community neighborhood feel of this part of the race. I settled in, repeating the mantra, "run with discipline." 10K Runners peeled off toward their finish line finish line while we half marathoners we began a slight downhill drag. 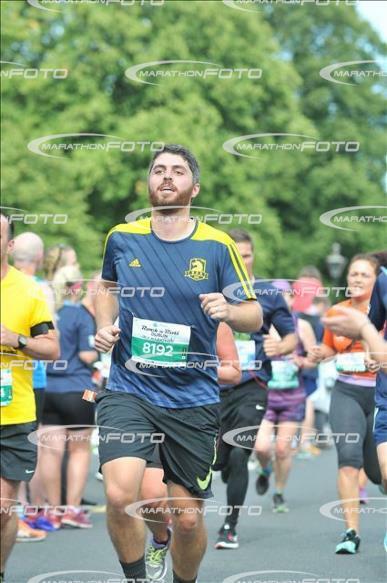 Just before Mile 8, we turned left into Phoenix Park. As I passed the mile 8 aid station, I began to wonder why running suddenly felt hard. Seemingly out of nowhere, easy running had become a grind. Later, I learned that we'd run up a slight, steady incline for 2 miles here. Woof. The park itself was beautiful, with grassy paths, trees, monuments, and (allegedly) deer. I kept my eyes peeled for the deer, but I didn't see any. At mile 10, we bombed downhill. I regained composure and picked a few women ahead of me to target. I knew this was not going to be a particularly fast race time for me after the hilly slowdown, so I focused on a strong finish. As we hit some rolling hills winding through the park, I worked to keep my form in check. Body straight and strong, drive from the hips. Finishers from the 10K race had walked through the park and were joining other spectators here. I was buoyed by a man encouraging, "All the way through, lads!" I tried to muster a strong last 400 meters, but it was a rather feeble effort on this day. I finished the race in 1:35:35, 516th of 6556 finishers and 58th of 3207 women. 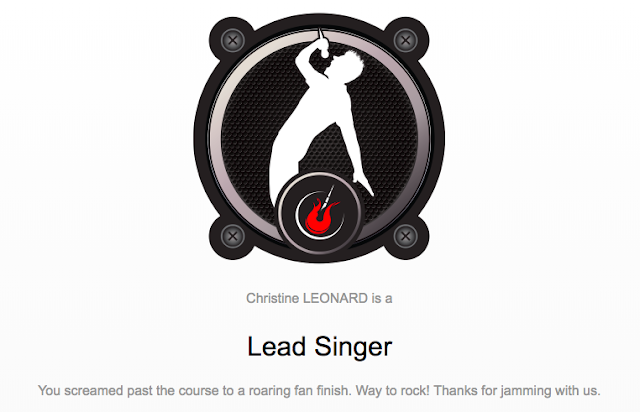 According to Rock 'N' Roll's official ranking system, this earns me a "Lead Singer" badge. Which is great and all... I get they're trying to tell me I'm fast. But why the band member class system? Does this mean slower runners get ranked "back up vocals on that one track" or "tambourine" or "groupie"? After being funneled through the finisher shoot, I returned to the course to cheer my loved ones into the finish. Chris had a fantastic race, setting a PR! Ciara and Becca, who are far nicer, less selfish humans than I when it comes to running and friendship and supporting each other, finished the race practically arm in arm. The post race party featured some epic jams by local band The Riptide Movement and one free nonalcoholic beer. We took a tired, happy group photo and boarded the shuttle downtown. 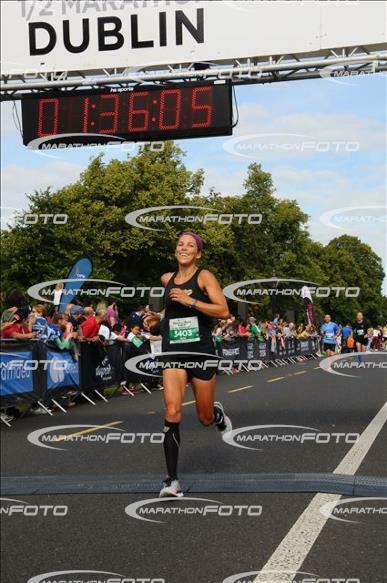 Even though I had a hard day on the course, running a half marathon was a truly fun way to see the city of Dublin and the best possible way to spend vacation visiting my running companions. I am all in on racing as sightseeing while traveling. I've even convinced Chris to sign up for a race with me in Portland, Oregon when we travel to the Pacific Northwest this July.